Would it surprise you to know that every small business owner, entrepreneur and even every start-up has a brand? Whether you want your business to have a brand or not the choice isn’t yours. The moment you start to interact with your prospective clients, suppliers and business colleagues everything you do is creating your brand in their eyes. Fundamentally your brand is what people say about you, your business and services/products when you are not in the room. So do you know if your BRAND is turning your clients off and driving them away? Do you know if your brand presence is engaging your potential clients or leaving them cold? Your brand to magnetically draw your ideal clients to you so you can get a wait list of paying clients?! To stop running around like crazy and let your BRAND do the heavy lifting? Get more clients and increase your sales? I know that branding can be one of the most confusing areas of business but branding is more than your logo, website and colours. And when you get it right it can be incredibly powerful. So, to help you learn how to make your brand more visible in the market place, engage your target audiences and increase your client base, I have drawn together some of the UK’s leading experts in branding in what promises to be an incredible one day event. Are you ready to build a powerful brand that will have clients clamouring to buy your services or products? Our fantastic line up of speakers and I are not going to fill your head with techno speak and jargon but plain English as we guide you step-by-step through our Branding Master Class. I am bringing together an amazing group of people who are number one in their markets to share their very best strategies, approaches and practical tips so you can take them back into your business and make them work for you. Our Master Class has been designed by experts in the field of branding for you. Clarity about what your brand really stands for (when you have this clarity so will your clients). Brand strategy to get you to your end goal more quickly, efficiently and more cost effectively. Brand differentiation to help you stand head and shoulders above your competition. Alignment so that when your potential clients come into contact with your services or products they identify with it. Successful brands are supported by identities that are unique, memorable, vibrant and relevant and once you do this the competition will become irrelevant. The five step rebranding process that helped ensure the success of one of the Top 50 retreats in the world, as rated by The Times. The important role social media plays in building a successful brand. How to translate your brand essence into a coherent brief for a website designer. The power of personal branding and how it is represented in the way you present yourself to the outside world. A thorough understanding of the 5 key elements of branding that you need to have to propel your business forward which include: essence, identity, connection, clarity and values. A sense of excitement about the potential that building a successful brand can have for you. Click a speaker’s name to see their bio, and find out more. Sonia is a business communicator, uber connector, coach, trainer and writer, diversity maverick with over 20 years in marketing, branding and life skills development. She is an authority on many areas of business, leadership, sales and marketing, as well as supporting individuals to achieve success in all areas of life. 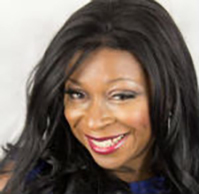 Sonia founded the National Black Women’s Network; Let’s Talk Business Networking Forum and Sistatalk the UK’s leading online forum for women looking to connect with leading companies, decision makers and industry peers. More recently Sonia launched the Inspirational Women’s Super Summit in London and the Scottish Parliament as well as EVOLVE; a six step business growth programme aimed at solo and micro entrepreneurs. Sonia is here to help women take decisive action to turn their dreams into viable businesses and take their greatest work into the world with more passion, purpose and profits. In addition to this, Sonia is currently launching the Community Ambassador Programme on behalf of the Mayor’s Office for Policing and Crime (MOPAC) and the Metropolitan Police Service. Sonia contributes to a number of radio shows, magazines and newspapers on women, diversity, public appointments and enterprise issues. Carole is passionate about helping her clients achieve success. She has a remarkable ability to cut through the noise surrounding challenges facing her clients by creating space, clarity and insight into the issues that matter. 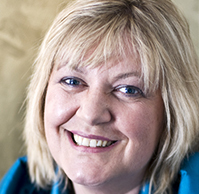 Carole is the founder of The Blueprint Practice and has over 20 years of marketing experience. Previously, Carole led the European marketing arm of Towers Watson’s financial management division and before that she worked for GHN (part of Penna Plc), the company that pioneered executive coaching in the UK. Carole works mainly with female entrepreneurs and small business owners. She is CIM certified, has an MA in Marketing and her thesis was on Branding. Lynne has the priceless knack of revitalising brands. She develops powerful strategies and effective plans for ambitious business owners and their brands. She is renowned for honing in on key issues and for creating brand strategies with real impact. 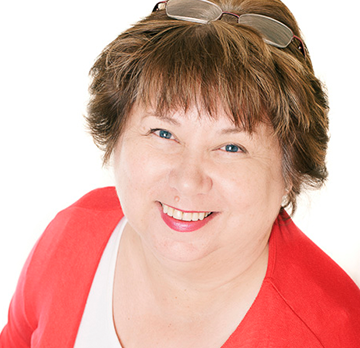 Lynne also specialises in translating elusive intangibles such as brand values, personality and essence into the visible brand assets of logos, straplines, imagery and tone of voice. 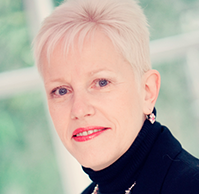 Lynne trained in marketing with Unilever, Beecham (now GSK) and ICI Paints (now Akzo Nobel). Her first love has always been branding and she now works extensively with SMEs in the UK, Italy and the Philippines. 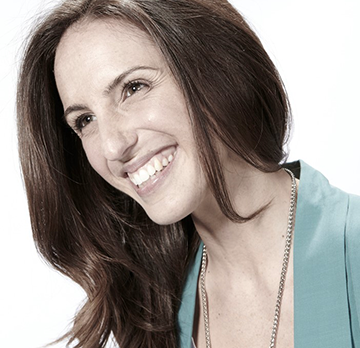 Melissa White is the global Head of Experiential Marketing for Sony Mobile Communications. She has over 10 years of experience delivering global brand experiences for trade and consumers across some of the best known brands in the world including Budweiser, L’Oreal and Sony. Melissa is also founder of Naked, a company specialising in coaching women in high pressure jobs to redefine balance and build exceptional lives. Naked was created while Melissa was on a sabbatical in Latin America and she now runs transformational retreats that create life changing experiences for her clients. 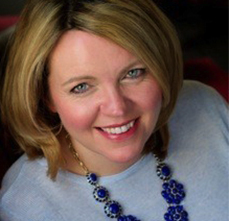 Former opera singer Susan Heaton Wright uses her experience, knowledge and expertise as a performer to help professionals improve their business communication skills. 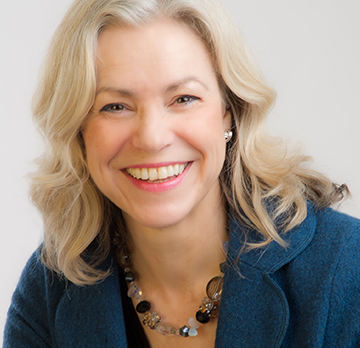 Susan’s clients have included men and women from major multi-national companies such as Boeing, UBS and Cisco, and large public sector organisations including the NHS. A regular speaker at business events held by the IoD, the Chamber of Commerce and Enterprising Women, among others, Susan is also frequently asked to provide her expert opinion on TV and radio. Her blog “Superstar Communicator” was a finalist in this year’s UK Blog Awards and she writes guest blogs for a number of organisations. Juls has had a varied professional career, covering everything from Catering & Hospitality Management to HR and Training Directorships. With a master’s degree in Neuro Linguistic Programming, Juls has extensive expertise in the field of behaviour patterns and executive coaching. She also trained as a hypnotherapist at the London College of Clinical Hypnotherapy. 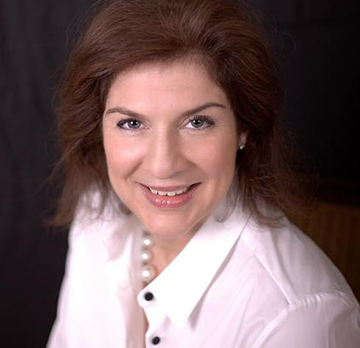 She is a specialist in female wellbeing and weight management. An enthusiastic and talented cook, Juls also runs the behaviour programme at the Body Retreat, which is recognised as being one of the best organisations of its kind in the UK. In a Nutshell Hela’s a seasoned marketeer with a fascination for the beauty that lies behind the brand. She did her apprenticeship in agency land, hung out with the ‘Big Boys’ and worked with superstar brands such as Ericsson, Kodak, Ford and Jaguar both in London and Warsaw. Hela was also a ‘Big Fish’ at a series of independent agencies where she moulded an eclectic mix of brands ranging from national newspapers to nationwide retail outlets. The Defining Moment The turn of the millennium marked a turning point for Hela. After a decade of commuting and boardroom politics, she crossed the divide and took the leap from employee to entrepreneur. Found a business partner to share the merry-go-round and hopped on board. Business of Branding Today Hela is one half of a formidable duo. Together with Annie, the Yang to her Yin, she was a Co-Director of Snog The Agency for seven years. A boutique branding consultancy that worked with businesses and organisations of all shapes and sizes, refining or defining their brands. Law firms. Charities. Franchises. Office suppliers and video producers all experienced a taste of her brand magic. Marque of Distinction In the very early days Snog The Agency entered ‘beauty parades’ to pitch for business. It didn’t take long to get wise and realise referrals resulted in the best wins. Networking became an integral part of Snog The Agency’s sales and marketing strategy. So much so, that in 2002 Sister Snog was conceived. What started out as the seed of an idea has celebrated its 10th anniversary in 2012. Today Sister Snog is a #bijoubrand in its own right that’s gone from infancy through to adolescence. It’s a hot-to-trot option for like-minded business women looking for a refreshing way to connect and collaborate with other women of a similar make-up and mind-set. A brand with a history. A story made for sharing! Sister Snog is brand that has embraced social media in all it’s glory. And is on a mission to encourage members to engage via the cornucopia of social media channels. Blogging on the #snogblog is a weekly activity at #snogtowers. And anyone & everyone can get a fix of social media news, views & golden nuggets via The Social Butterfly. A weekly newsletter that flutters into your inbox every Friday. Sent with love. Crafted with care. In a Nutshell A versatile marketing expert, who’s experienced brand management from both sides of the coin. Annie worked as a project manager and a brand manager in the heart of the Capital. Having both agency and client experience meant she brought big picture vision and down to earth delivery to a colourful brand portfolio that included accountancy practices, car marques, copier giants, caterers and bankers. The Defining Moment Where do you go when you’ve left an indelible mark on a business and its corporate brand? Jump ship. Join another company. Rise to a similar challenge. Or take an even bigger leap and become mistress of your own destiny. Annie chose the latter. And the rest, as they say, is history. Business of Branding Wozniak & Jobs. Likely to be hailed as one of the most famous partnerships in the world that arguably created the sexiest and smartest brand on the planet. The key to their success. Vision and delivery of that vision. With bells on. Similarly, for seven years, Annie Brooks partnered with another Wozniak and became the heart of Snog The Agency. A boutique branding consultancy that created brands of distinction for distinctive clients. Marque of Distinction Snog The Agency may have quenched Annie’s thirst for running a business, but it never quite satisfied her hunger for putting her hallmark on a brand. Until she dipped her toe in the networking arena in 2002 to find it was seriously lacking a brand with fizz, buzz and sparkle. Some things take a while to germinate. Sister Snog is a prime example. Initially created as a platform to open doors for Snog The Agency, it snowballed to become a #bijoubrand that attracts a discerning audience of smart, sassy business women. Today Annie’s in the driving seat and is instrumental moving Sister Snog into the fast lane. That’s when she’s not performing her duties as a Liveryman of The Worshipful Company of Marketors. Ann works with a wide range of business owners across the country, bringing with her a wealth of experience in a variety of fields. Ann has a direct and hands on approach that turns dreamers into doers. She runs strategy days and conducts coaching calls that enable individuals to fulfil their potential and strive for specific goals. Her corporate roles have included setting up and running Carlsberg UK’s first national customer service centre. Combining process, planning and passion, Ann helps individuals adapt their thinking and their behaviours in ways that deliver results on the basis of action and accountability. 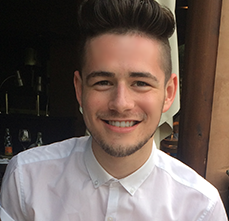 Founding his own business at the age of 16, Alfie has since built FIREFLY Media, a bespoke creative agency specialising in social media and graphic design. Now working with established brands such as The Conservative Party, NHS England, The Commonwealth and TeachFirst, as well as entrepreneurs and SMEs, Alfie divides his time between large client projects and coffee runs. His weapons of choice are Photoshop, Illustrator and WordPress. Alfie also owns and operates a number of hugely popular websites including Reality Box and Totally Big Brother, one of the UK’s biggest Big Brother fan sites. 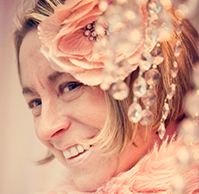 Lizzie Edwards is one of the most successful Personal Stylists and Image Consultants in the UK. Since setting up her Style and Image Consulting business in 2005, she has become renowned for her expertise in offering friendly, no-nonsense advice on up-to-date, effortless style to successful men and women. Lizzie is also increasingly sought after to run Personal Branding and Image group sessions for organisations, to enable employees to maximise their personal impact and professional image. Who is this Master Class aimed at? We have a limited number of places available and payment in full guarantees your place. Any refund requests prior to 30th September will be paid in full apart from a deduction for the booking and administration fee of £25. Refunds requested between 1st and 31st October will be at 50% of the original fee. No refunds will be issued after 31st October. You may transfer your registration to another person at no cost. Please contact carole@blueprintpractice.com for any cancellation and transfer requests. Park Crescent Conference Centre, International Students House, 229 Great Portland St, London W1W 5PN (near Great Portland Street tube station). We look forward to seeing you on Saturday, 29 November 2014 from 09:15 to 17:00 (GMT).